SCVHistory.com LW2919 | Magic Mountain | Variety Show in 7-Up Showcase Theatre, 1970s. 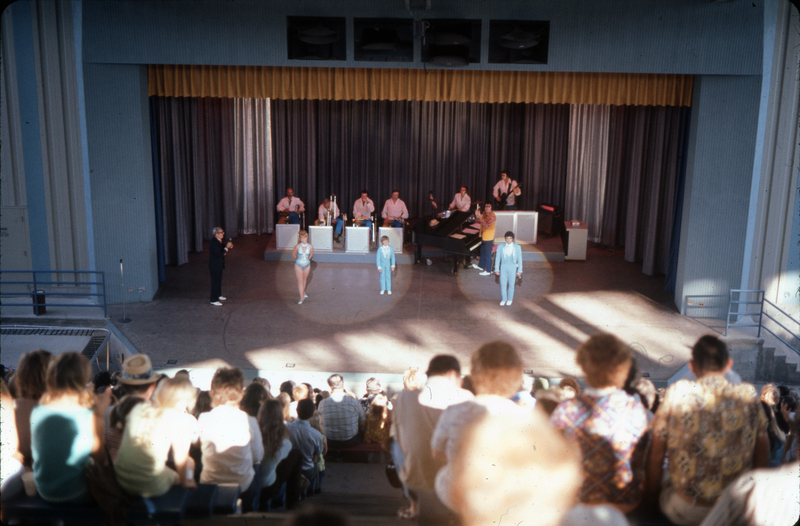 Variety show in the 7-Up Showcase Theatre, Magic Mountain, 1970s. 2x2-inch transparency (color slide film). The emcee (at left) is Jim Bachhus. LW2919: 9600 dpi jpeg from original transparency purchased 2017 by Leon Worden.